A good Banquet hall must reflect a fine blend of aesthetics and shape, practicality and flexibility. Our banquet hall is the prime example of an ideal banquet hall. Our banquet hall has different variations. It has a capacity of 500 seats with pillars strategically placed on the sides to ensure uninterrupted view and free movement. Even minute details such as acoustics, lighting and seating have been given exemplar attention. To back it all up, we provide an impeccable service and a menu that offers the choicest cuisines. So whether it's a seminar, conference or a party you couldn't do better than choose one of our banquet hall. 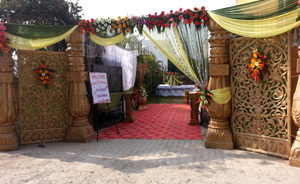 Special occasions like weddings, pre wedding/post wedding functions or special affairs with family, banquet hall in haridwar friends, or colleagues require special attention and most certainly a special and exquisite venue. Luxurious flooring, wall-hanging, furnishings create an atmosphere of idiosyncratic elegance. 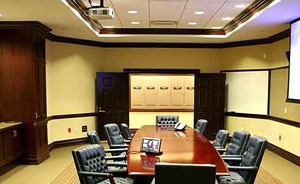 Our banquet hall is completely soundproof, thus providing privacy for your special occasion. 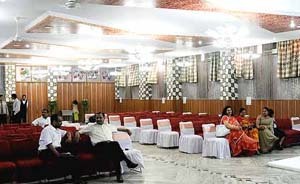 With a variety of services that you will find extremely comfortable, our banquet hall is perfect for weddings, parties, seminars, conferences etc. We invites you to discover a union of beautiful surroundings and excellent service. We serve your occasion with decoration of your choice, attractive lightings and flowers. Best stage decoration required as per your occasion. Food menu decided by you will be served with tastes decided by you. We provide standard services for any occasion like theme wedding, social get together, any social events, conferences, birthdays, seminars etc. We are Haridwar leading hotels in Banqueting services.